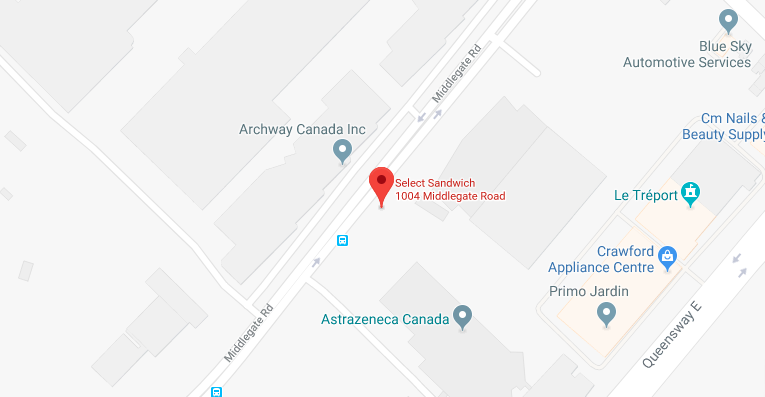 Conveniently located at 1004 Middlegate Road in Mississauga, Select Sandwich offers a number of healthy dining and corporate catering options. Whether you’d like to stop by for breakfast, dine-in with friends at lunch, or order a catered meal for dinner, our skilled team can prepare a tasty and fresh meal any time of the day! Choose from our selection of delicious sandwiches, wraps, panini, entrees, appetizers, breakfasts, salads and more to put together a meal that everyone will enjoy. Select Sandwich has brought affordable and tasty meals to Mississauga and beyond. Call us today to learn more about our office and corporate catering options.